A-1 Express Rental Center, your wedding party and party rental convenience center has been a locally owned company here in the Chippewa Valley since 1961. 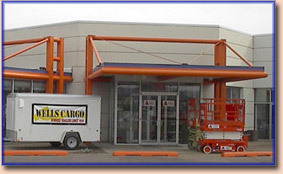 Since 2003, A-1 Express Rental Center has been owned and operated by Mike Lueck in Eau Claire, Wisconsin. Mike and his employees are committed to continuing the great service and quality products that A-1 has always strived to have available to our customers. While continuing to serve our customer's rental needs efficiently, we have been adding many new items and services to take care of a wider variety of your individual needs. A-1 Express Rental Center is here to help you. 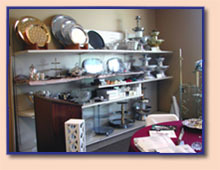 We have a large selection of wedding accessories, from tents, tables, and chairs, to china and glassware. To add that extra touch of elegance, we have several types of Candelabra arrangements that will brighten your wedding day. Everything we rent is sparkling clean and ready to use. We suggest that you reserve what you need in advance to make sure of availability. We do require a 50% deposit at the time of reservation and balance due at pick up or 14 days prior to delivery. Please don't hesitate to call if you have any questions or need assistance in planning your wedding, special event, or party. Our office hours do vary but we will be glad to meet with you at a time which is convient for you. Just ask for our Tent and Event Manager.